This picture had many likes when I shared it on Facebook – it seemed to particularly resonate with people. When I asked a few people about why they liked it, there were two main reasons. 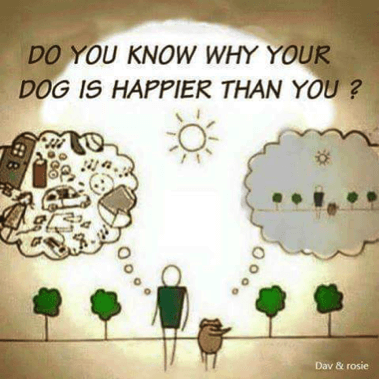 The first was that the dog has only one thing on its mind (careful…). Apparently, we have between 50,000 – 70,000 thoughts a day working out at dozens per minute. The very first thing we need to do is to keep those thoughts as positive as possible. The next thing is to filter out as many thoughts as possible. It is said that high performers in life are able to filter out half of their thoughts so that they concentrate on moving forward. So how can we do it? Practising how to do it on your own seems to make the process easier when you are with other people. It can be hard work, but there are a few ways that make it easier for me. A no-brainer for me as a musician. Music enables you to filter out a lot of the noise and ‘chatter’ that goes on in your head. For me, music without words does the best job, classical or Enya keeps me focussed the best. Concentrating on your body and breathing can really help to turn down your thoughts – it’s the basis for meditation. We all know about taking a deep breath – it’s the same principal. A class is a good start for this or just get a mat and find a space. Just a minute taken out of the bustle. I worked for someone who referred to it as a ‘power minute’. At that time I was a full-time teacher, and pretty much the only time we could think of taking it was when we went to the loo, but you get the idea. Be without your phone or laptop for periods of time can also make this a lot more achievable. This just helps ‘blow the cobwebs away’. Something about being in the fresh air and just walking can help thoughts slot into place, keeping them ordered and relevant. Practice these ways of getting yourself more focussed with your thoughts and you will be able to extend this habit when you are with others. This leads on to the second reason that my tribe gave for relating to the picture and that is being ‘in the moment’ and that is a habit that we find tricky to maintain. But for all of us, there is a real danger of not enjoying the present because we are constantly thinking amount the next thing or mulling over what has already happened. The dog is completely focussed on the present, sniffing the air, wagging its tail and enjoying the company of its adult. As a coach, being present and only concentrating on the ‘now’ is a skill that needs to be practised and adhered to if your client is going to feel empowered. This (mostly) involves listening. But really listening. Focussing on what the person is saying and not allowing your own thoughts to take over; listening to tone and language as clues to what may be underlying; responding to what the person says in a way that lets them know that you are interested and that they are valued. 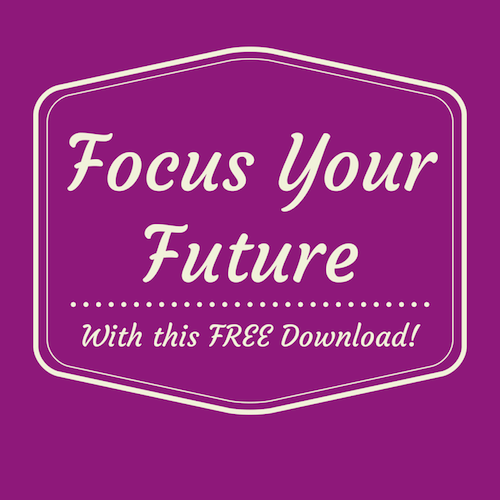 How can these principles relate to your life? Could you put away your phone when you spend time with someone close? Turn the telly off and look at the person talking. Could you take a deep breath of fresh air before a meeting so that you can fully focus? Have a go at not talking about how what someone is saying affects you and instead respond about them. Give it a go – it can be quite powerful. 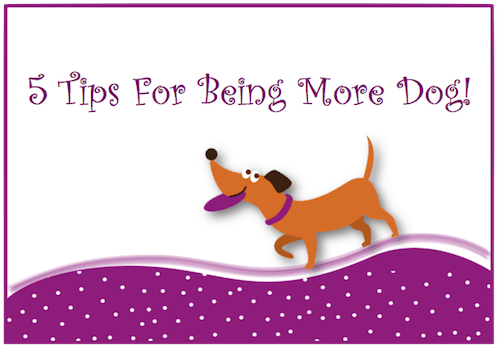 Download "5 Tips For Being More Dog!"